After six world premieres at the Cannes Yachting Festival, Ferretti Group brought its lineup to the Monaco Yacht Show. 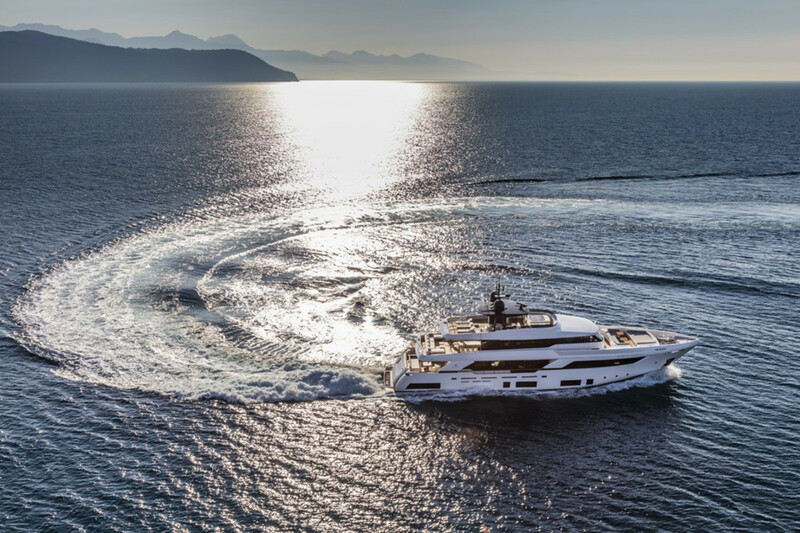 The Ferretti Group is showcasing its new Navetta 37 at the Monaco Yacht Show. The group also presented its development plan at a press conference on Wednesday, the first day of the show. It continues through Saturday. Ferretti Group CEO Alberto Galassi and commercial director Stefano de Vivo presented the group&apos;s development plan in the superyacht and megayacht segment, which centers on the Ancona yard, which has had a major investment. “The commitment and resources devoted to the production plant in Ancona today allow us to give birth to the new Superyachts Yard of Ferretti Group that will represent the naval excellence of our group in the field of superyachts, semidisplacement vessels and fully custom megayachts: flagships of the Italian naval industry, synthesis of luxury, innovation and technology,” Galassi said. Ferretti said its superyachts and megayachts segment generated in 2015 an order intake of about 87 million euros, resulting in a year-end forecast of strong growth, which is expected to reach 201 million euros of order intake — of which more than half had been acquired at the end of August.